Located in Harford County Maryland at the confluence of the Susquehanna River and the Chesapeake Bay, Havre de Grace is a scenic and small walkable town that is ideal for a laid-back getaway. Those who read this blog regularly may have noticed a recent post about several beautiful B&Bs located conveniently within walking distance of restaurants and shops, specifically the Vandiver Inn, La Cle D'or Guest House and the Spencer-Silver Mansion. The elegantly appointed Bed and Breakfasts are not only rich in history, but are also located on the Lafayette Trail, which is a fantastic way to see the highlights of Havre De Grace. The scenic walk is demarcated in blue on the sidewalks of the town and leads visitors on a three-mile-long path to highlights like historic structures, parks, museums, and marinas. Located on the Western Bank of the Susquehanna River, the Susquehanna Museum at the Lock House is the first stop along the Trail. The private, not-for-profit educational institution educates visitors on the importance of canals in facilitating early trade and commerce in the area. Visitors learn about the building of the 45-mile canal that ran from Havre De Grace to Wrightsville, Pa and the "locks" that were devised to raise and lower canal boats to adjust for the difference in elevation as they passed through the channels. The sturdy, two-story structure overlooking the Susquehanna was built in 1840 and was home to the lucky lock tender (what a view) and his family. The house also served as an office for toll collections. Free tours are available to the public from April through October. Next stop is the Tidewater Grille where we enjoyed lunch and a nice view of the Bay. In keeping with the theme, I ordered a lunch of clams, shrimp and mussels. Further along the trail at 408 North Union Avenue sits the old Pitcock Hardware Building which dates back to 1890. Today it operates as the Bahoukas Antique Mall and Beer MuZeum. Visitors can browse a large collection of antique toys, furniture, sports memorabilia and other vintage items. Be sure to visit the second floor to inspect the plethora of breweriana on display. Bahoukas Antique Mall and Beer MuZeum is housed in a former hardware store that dates back to 1890. Not far from Bahoukas is the old Chesapeake Hotel. 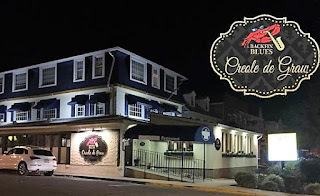 The structure, built in 1896, is particularly noteworthy because it was a favorite of Al Capone, who would book a room there while visiting the nearby Graw Racetrack. We learned a little more about "The Graw" thanks to Annie McLhinney-Cochran, who operates McLhinney's Speakeasy Museum and International Market located in downtown Havre De Grace. According to McLhinney, Maryland was the only state that refused to embrace prohibition. 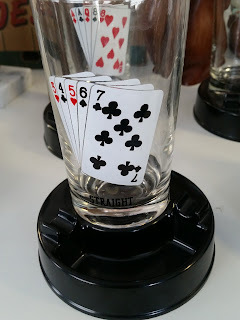 "Capone gambled here because he could drink," she said. Today the Chesapeake Hotel operates as a restaurant by the name of the Backfin Blues Creole De Graw. Quite close to the Backfin Blues is a nondescript structure once known as the A.P. McCombs Building, built by the founder of the Havre Republican newspaper, now known as "The Record." Today it houses JoeRetro, a vintage Market, featuring gifts, vinyl records and new, used and upcycled items. 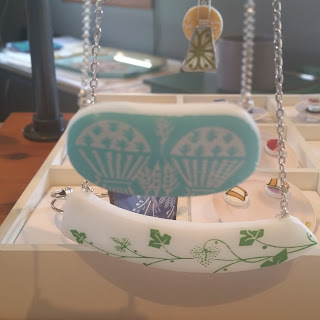 I found a cool Pyrex necklace there. 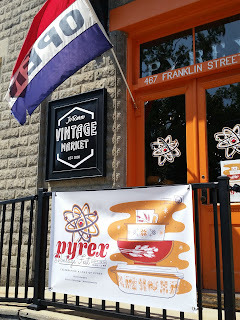 The store features the largest collection of Pyrex cookware I have ever seen. Keep an eye out for another, much fancier A.P. McCombs building in town--you can't miss it. The beautiful pink dwelling done in the Queen Anne style is located at 120 S. Union Avenue and was built in 1880. Statement necklaces crafted from broken Pyrex. An A.P. McCombs building that is a little more utilitarian in style. Now home to JoRetro. A little further along the trail is the Henry Harrison Hopkins House built in 1868. Today it operates as La Cle D'or Guesthouse, an elegant B&B which features an outstanding collection of antiques. Next on the Lafayette Trail is one of the largest houses built as a private residence in Havre De Grace--the Spencer-Silver Mansion. It, too, operates as a Bed and Breakfast. Within sight of the Spencer-Silver mansion is the Vandiver Inn. The Inn operates as a B&B and has been the site of many "I Dos," which is appropriate since it was a gift to a bride from her husband. Murray Vandiver served as State Secretary and Treasurer of Maryland and as Mayor of Havre De Grace. Take the Lafayette Trail down to the Bay and you'll see the old Bayou Hotel. The four-story fieldstone building opened in 1921 when Jazz was all the rage. It was forced to close its doors in 1932 due to a fire. 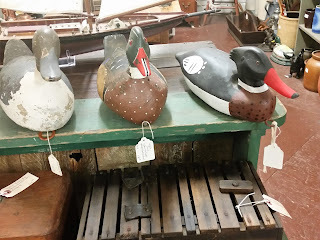 Upon re-opening, further losses were incurred when "sinkboxing," the favored form of duck hunting in the area, was outlawed. The Depression proved to be its death knell and in 1934, the hotel went out of business. The structure later became home to Franciscan nuns before it was sold in 1953 and converted to apartments. Years later, after a period of extensive renovations, developers transformed the hotel into luxury condominiums. The Bayou hotel, popular during the Jazz Age, still stands today. The Concord Point Lighthouse is stop number 41 on the Lafayette Trail. The oldest, continuously operating lighthouse in the country was once slated for demolition before a concerned citizen's group banded together to save it. I was shocked to see how small it is! The Concord Point Lighthouse is the oldest, continuously operating lighthouse in the country. Nearby at 720 Concord Street is "The Keeper's Dwelling," which dates back to 1827 and served as the original lightkeeper's house. The honor of serving as lightkeeper was bestowed upon John O'Neill for his efforts in keeping the Brits literally "at bay." A front view and the inside of "The Keeper's Dwelling"
The Keeper's Dwelling is open from 1 to 5 p.m.on weekends from April through October. Further on down the road at 201 St. John Street is the Seneca Cannery, which has been repurposed into a large antique market. 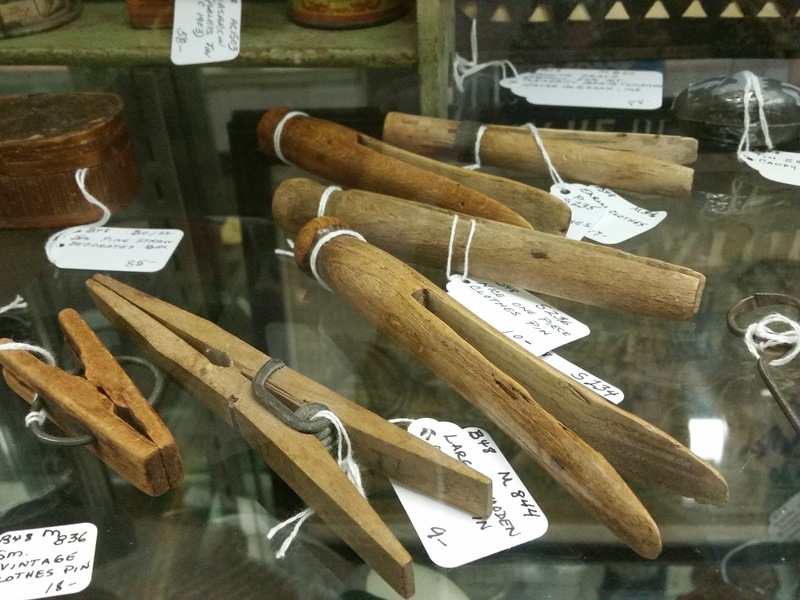 If you want to get a flavor for an area, visit a local antique market. 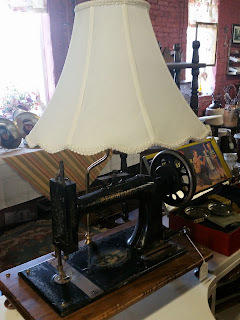 A few months ago I visited Strasburg, Pennsylvania and discovered an array of old railroad artifacts from lanterns, to conductor's logs, time tables and an old doctor's case used on a train. Guess what I found at the Seneca Cannery? That's right, decoys--more than a few of them--and a lot of cool other things too. 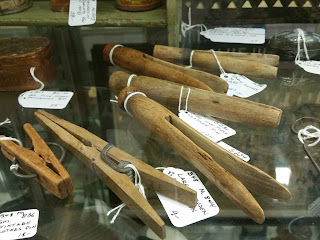 Oh and if your relatives have any old, wooden clothespins, it might be a good idea to keep them around. They're selling for $10 a pop. There are many more stops along the Lafayette Trail. For those who enjoy shopping, Havre De Grace offers plenty of opportunities for that as well, with its blocks of shops selling anything from giftware, to jewelry, to art and apparel. 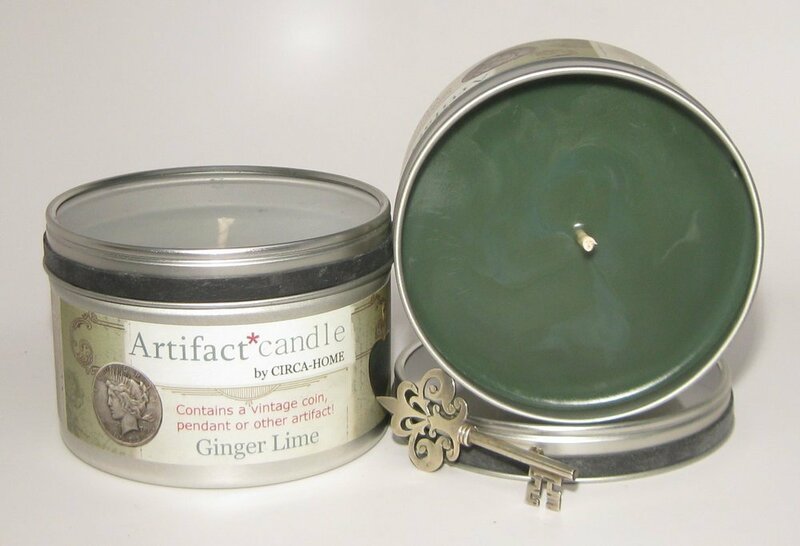 I purchased one this artifact candle at Blue Heron downtown. The artifact was a liberty coin. I think my favorite shop in Havre De Grace was Glyph. Located at 233 St. John Street, Glyph sells high-end stationery, writing instruments and other unique and interesting items that make perfect gifts. I just had to take a picture of this beautiful gift wrap. There are plenty of restaurants from which to choose in Havre De Grace. For lunch, I recommend The Vineyard Wine Bar located at 142 N. Washington Street. 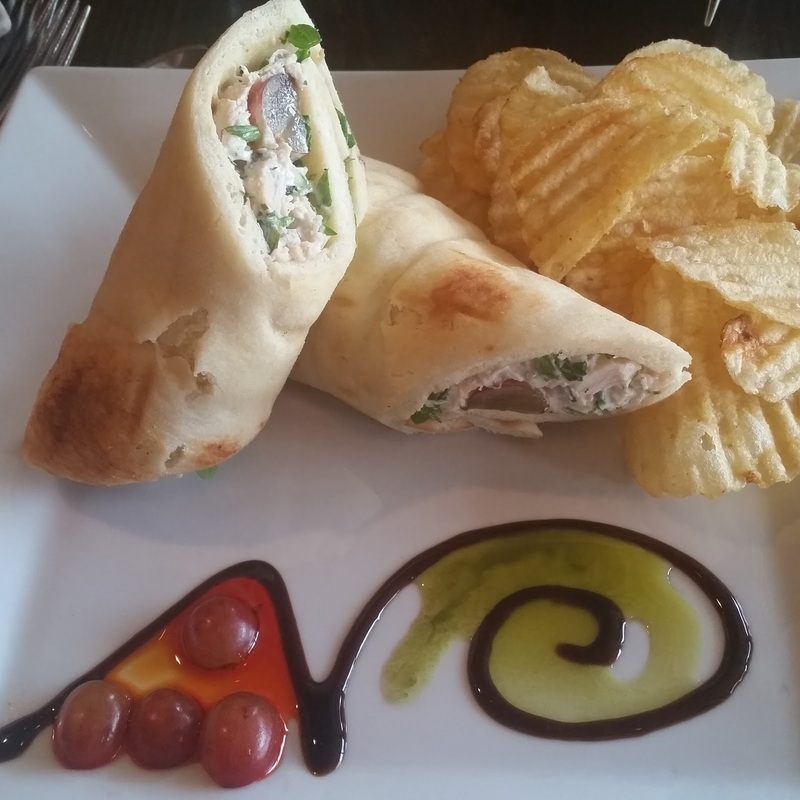 While there, I enjoyed a delicious chicken salad wrapped in naan. A unique place I stumbled on during my trip was Washington Street Books and Music. I entered expecting a typically sedate book store, but encountered something else entirely. Can I really call it "new age," these days? Abba blared over the sound system, while rows of 20-somethings browsed through comic books that lined one of the walls. Situated around the retail space chockablock with crystals, toys, minerals and other curiosities, were dozens of floor-to-ceiling glass cases displaying an array of costumes. I soon realized that this was more than a bookstore. The owner, seeing my quizzical look, explained that an adjacent room contained even more costumes. It turns out that he is a movie buff and is in the process of creating an entertainment museum. To date, the store boasts a collection of 250 movie costumes, scripts, and props from more than 70 different films. 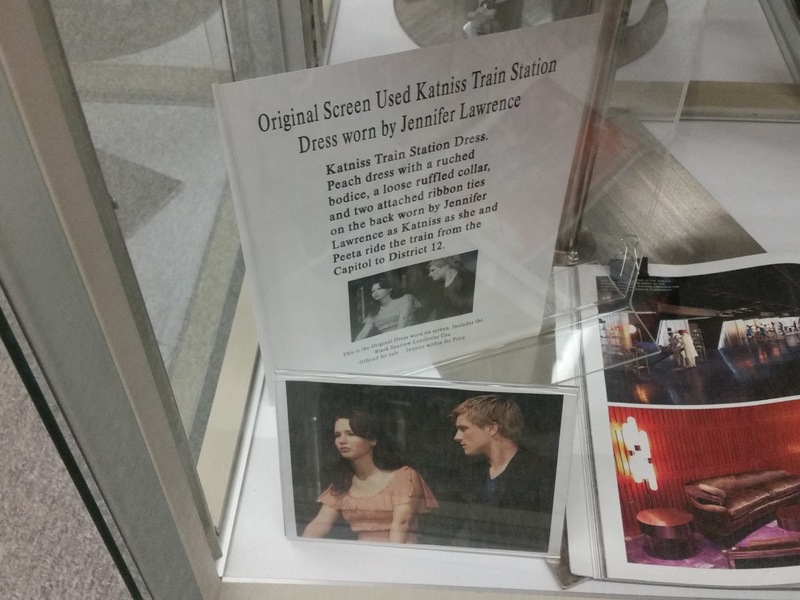 It's a shame I couldn't get decent pictures due to the glare, but I'll share one below just to give you an idea. This dress was worn by Jennifer Lawrence in the movie, "The Hunger Games." Exploring Havre De Grace can be done leisurely in a period of two or three days and if the weather is nice, don't neglect to "walk the boards" of the scenic Promenade. Sights from the Promenade above and below. If you, too would like to walk the Lafayette Trail, brochures are available at the Havre De Grace visitor's center located at 450 Pennington Avenue, or you can download the mobile app by visiting explorehavredegrace.com and tapping the "Walk the Lafayette Trail" logo. Now's a great time to visit since most museums close at the end of October and don't re-open until April. Looks like a wonderful immersion into times gone by. Thx for sharing. It was quite a nice trip. Thanks! Thanks, Stephanie, for your nice review of our beautiful city. We're honored to be named your "favorite shop" in Havre de Grace! - The Glyph Guys. I loved my visit, thank you! It is indeed a lovely little town. 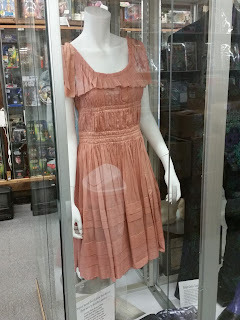 Thank you for visiting JoRetro! Havre de Grace truly is a special little town. Thank you--enjoyed browsing your merchandise.